Whether your company was born in the cloud, or you're trying to better leverage your cloud technology, iCorps' Encompass Edge can ensure you're receiving the support you need and optimizing your cloud investment to enable your business. Many companies are born in the cloud or have hybrid cloud environments, but don’t have the staff and knowledge base to manage their cloud investment. iCorps’ Encompass Edge solves this problem by allowing companies access to proven solutions and experienced cloud consultants with the expertise your cloud-centric IT infrastructure needs to run efficiently. iCorps' team will assess your business's IT environment and business goals before developing a custom strategy to modernize and maintain your technology in the cloud. Encompass Edge offers this exclusive service that delivers white-glove experience to drive use of modern cloud applications, increasing collaboration and productivity. Encompass Edge is built to be scalable – we can add coverage and specialized skills for projects, or increase service frequency to support your growing business. Maintaining a business’s cloud environment may seem daunting with a small internal staff and limited expertise. 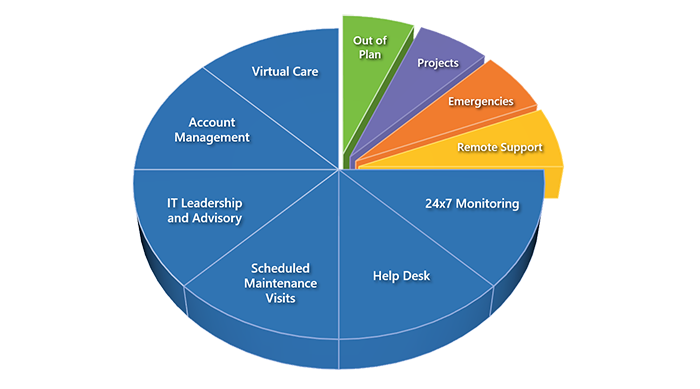 The Encompass Edge program includes everything from virtual care to onsite scheduled maintenance visits. In turn, this proactive program minimizes unplanned IT spending events, such as an IT emergency. How Encompass Edge Works — a Proven Model! The Encompass Edge program’s intimate and proactive, fixed-cost IT services, planning, and expertise ensures optimal performance from the systems that support your business, delivers significant cost savings, and makes budget planning more predictable. "We want to move to the cloud. Where do we start?" iCorps' experienced team of cloud consultants analyze your current infrastructure, listen to your business goals and compliance requirements and then determine a proper plan of attack for your cloud migration, deployment or management efforts. iCorps will provide you with a thorough, detailed deliverable, outlining recommendations and solutions to meet the needs of your company’s specific environment. "Embracing technological innovation will help us continue to look out for our members' interests while giving our staff the tools that we need to make the most of our time and resources." "I think that the firms that are leaders in embracing the newest and latest technology are going to have a competitive advantage over those firms that don't embrace the new technology as quickly."